Shyamala Moorty is an interdisciplinary artist and activist with a background in contemporary Indian and western dance forms and theater. Shyamala has been a company artist with TeAda Productions since 2003, and has created two solo shows with them. Her first show, RISE, was acclaimed as a “tour de force” by the LA Times (1/17/04). 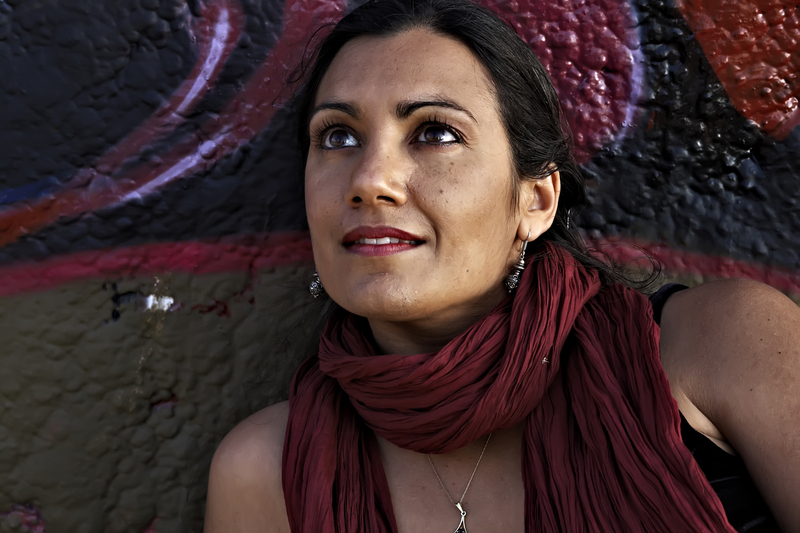 Her second solo show, Carrie’s Web, recently premiered in Los Angeles, and was made in partnership with a community organization for Muslim women and families, NISWA. Shyamala is also co-founder of the Post Natyam Collective, a multinational community of dance artists critically and creatively investigating contemporary approaches to South Asian dance forms and aesthetic concepts. Shyamala has performed her collaborative work with Post Natyam in the UK, Germany, the Czech Republic, and India. Shyamala holds an MFA in dance from UCLA’s Department of World Arts and Cultures. She danced with Iyengar’s Rangoli Dance Company from 1994-2004, and was a soloist and principal dancer with the Aman International Music and Dance Ensemble from 1997 to 2004. When she’s not creating and performing, she’s sharing yoga and dance and interdisciplinary approaches with college students. She also designed Artwallah’s summer arts development program, YouthWallah, and served as the first Executive Director of WYSE. (Women and Youth Supporting Eachother). A love-sick heroine wields a plunger as her only weapon against riots, religious fundamentalism, and the breakdown of the toilet. RISE merges humorous and dramatic characterizations with contemporary Indian dance, and a touch of Bollywood to create a unique hybrid dance-theatre. RISE is a striking commentary on Hindu and Muslim conflicts during the 2002 “riots” in Gujarat, India, set in the bathroom of a Desi American woman, who connects to India through the global sewage spewing from her overflowing toilet.